JERSEY BOYS Glasgow tickets on sale! For the very first time JERSEY BOYS is coming to Glasgow and the Theatre Royal is delighted to announce the on-sale dates for the hotly anticipated tickets to the four week festive run. Tickets are on sale from 10th April to ATG cardholders then on general sale from Monday 13th April! 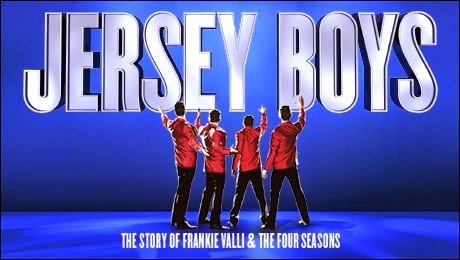 JERSEY BOYS has been seen by over 20 million people worldwide and is firmly established as one of London's longest running and most popular shows, where it continues to play at the Piccadilly Theatre. The show is packed with their hits, including Beggin’, Sherry, Walk Like A Man, December, 1963 (Oh What a Night), Big Girls Don’t Cry, My Eyes Adored You,Let’s Hang On (To What We’ve Got), Bye Bye Baby, Can’t Take My Eyes Off You, Working My Way Back to You, Fallen Angel,Rag Doll and Who Loves You. Theatre Royal Box Office (282 Hope Street) opens Monday – Saturday, 10am - 6pm BUT on Monday 13 April the Box Office will open at 8am for the general on-sale of JERSEY BOYS.